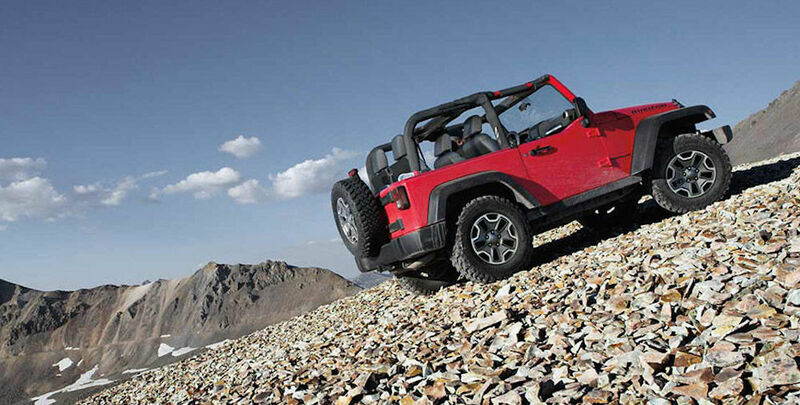 If you're considering a new vehicle, heed our advice: pick a vehicle that makes your happy. There's no reason to follow the crowd or do what's "popular." When it comes down to it, rely on your gut to make the final decision. However, exploring Google's most-researched vehicles can certainly be an important tool. It may clue you in as to what models will soon be flooding used car lots, and if you have a desire to stand out, you can see which cars you should be avoiding. The iconic pony car has sat atop this list for years, so it's no surprise that it was Google's most-researched vehicle of November. 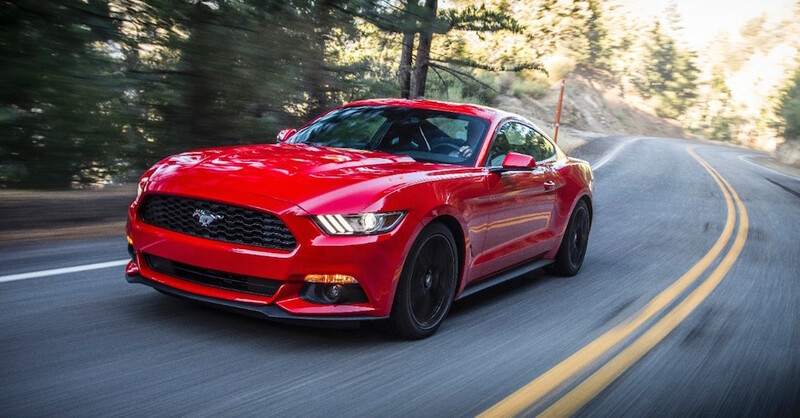 You also shouldn't assume that the vehicle ranks so high because of any major changes, as the Mustang still features its top two attributes: style and power. No matter what trim or package you opt for, your purchase will still feature many of the car's familiar and popular exterior features. Furthermore, you can customize your vehicle however you want. With the 3-D rendering software, you can truly personalize every angle of your Mustang, and you can even save all of your prototypes (assuming you have a profile with Ford's website). You can share your created vehicle with all of your friends via social media, and you can soon test our your Mustang via Google Street View and a future racing game. Even if you're not planning on buying a Mustang, it's still fun to play with the Mustang Customizer App, which you can find in both the Apple and Google Play marketplace. Speaking of making your Mustang your own, you can also choose from a variety of different engines. There's the 5.2-liter V8 (capable of producing 526 horsepower and 429 pounds-feet of torque), 2.3-liter EcoBoost (310 horsepower, 320 pounds-feet of torque), 5.0-liter V8 (435 horsepower and 400 pounds-feet of torque), and the 3.7-liter V6 (300 horsepower, 280 pounds-feet of torque, and an incredible 22 combined mile per gallon fuel efficiency). The former top spot on this list has sat comfortably at number two for several months now. Considering the Silverado is arguably the most popular pickup on the market, those statistics shouldn't be too shocking. While the nameplate offers multiple options (that are accompanied by additional amenities), the standard 1500 is still a reliable and impressive truck. Just look at the awards the vehicle has won over the years, like the 2015 award for the "Highest Ranked Large Light Duty Pickup in Initial Quality" by J.D. Power. It starts with the fifth-generation small block unit: the 6.2-liter EcoTec3. Besides the 15 city/21 highway mile per gallon fuel efficiency and the included fuel-saving features (Active Fuel Management, Direct Injection, and Continuously Variable Valve Timing), the system can also pump out 420 horsepower and 460 pounds-feet of torque. To put the unit over the top, you could add on the Max Trailering Package, which will allow your truck to tow a maximum 12,000 pounds. Other features in the package include an integrated brake controller, tow/haul mode, StabiliTrak with Trailer Sway Control, Hill Start Assist, Auto Grade Braking, a Rear View Camera, and four-wheel Disc Brakes with Duralife Rotors. Of course, the engineers have also added a number of exterior features to help modernize their Silverado. Besides being built of high-strength steel, the brand also revamped the front end of the truck, resulting in a more "sculpted hood." Furthermore, the LED lights allow your truck to stand out from the pack. Similar to the previously mentioned cars, the Camaro has also previously sat in the top spot, and it's also held the third position for multiple months. In fact, the Camaro has been in the top-10 list for the past 143 months! That's well deserved, and the sports car should continue to stay on the list at least through 2016, as next year's model has already been named the Motor Trend Car of the Year. technologies and a strong yet sophisticated design." 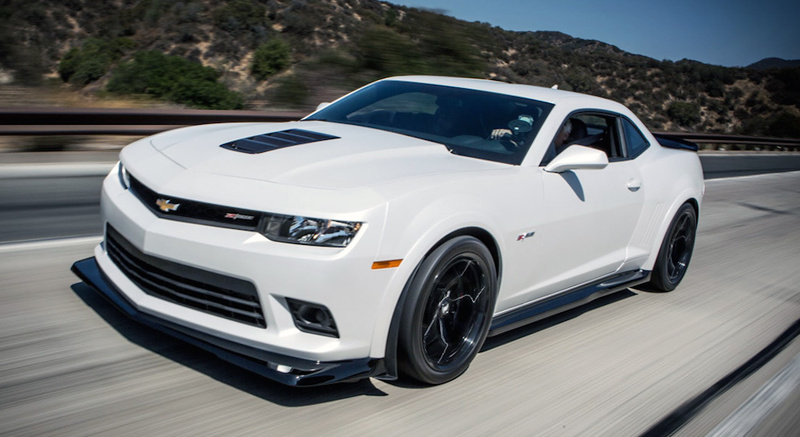 When it comes to the design, the engineers were focused on producing a Camaro that featured a "smaller, light architecture," and they succeeded by removing 390 pounds from the vehicle's weight. When you couple this weight drop with the "chiseled" body, you've got one of the most aerodynamic vehicles on the market. Besides the premium materials and luxurious design that you'd expect from the Camaro, the 2016 model also features an array of technology. The eight-inch touchscreen infotainment system will allow the driver to access navigation, radio, and even their phone's basic capabilities. The instrument cluster can also be configured to give you whatever information you desire, whether it be your fuel status or vehicle diagnostics. To get the full experience, the driver can opt for one of 24 different interior spectrum lighting colors, or they could choose the "show mode," which will transform your interior into a full-on light show. As we mentioned, the trio of powertrains is each impressive in their own right. The 2.0-liter turbo engine cranks out 275 horsepower and 295 pounds-feet of torque, and it can even accelerate to 60 miles per hour in 5.4 seconds (an impressive time for such a tiny unit). The 3.6-liter V6 (335 horsepower and 284 pounds-feet of torque) is accompanied by the Direct injection and Variable Valve Timing technology, while the 6.2-liter V8 delivers incredible specs (455 horsepower, 455 pounds-feet of torque, 0-to-60 time of four seconds). The Civic, another former holder of the top spot, actually a jumped a spot from October, moving up to number four on this list. It's tough to zero in on a particular aspect of the Civic, as it truly is one of the most impressive and versatile compact car's on the market. The engineers included a number of impressive features and capabilities to the Civic, excluding the already-impressive 1.5-liter turbocharged engine (which can deliver an insane 42 highway mile per gallon fuel efficiency). The Continuously Variable Transmission will maximize your vehicle's efficiency, while the durable and strong chassis results in a smoother and better-handling drive. Switch to the exterior, and you'll find a Civic that features "a fierce new shape and distinctive cut lines." Sure, it still looks like the Civic you remember, but the overall look is fresh and modern. The LED lights don't only add an air of intimidation to your ride, but they'll also assist with nighttime driving. The rain-sensing windshield wipers will wipe away moisture whenever it's detected, and the capless fuel system makes filling your tank both clean and easy. Finally, the interior features a number of amenities that would satisfy even the pickiest car owner. The heated seats throughout the cabin mean you and your passengers can always be comfortable, and the power front row seats mean you can even take a quick cat nap (not when you're operating the vehicle, however). Finally, the 60/40 split rear seats results in maximum cargo room, a feature you don't often find in such small vehicles.